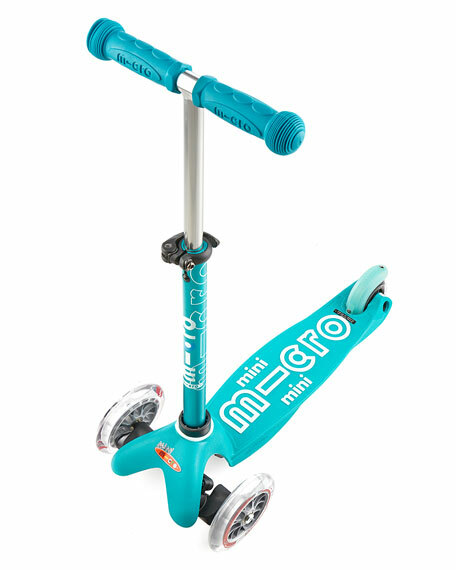 Micro Kickboard micro mini deluxe scooter enables your child to "surf the sidewalk" with a smooth-gliding, low-to-the-ground, lean-to-steer design. Recommended for children ages 2-5. 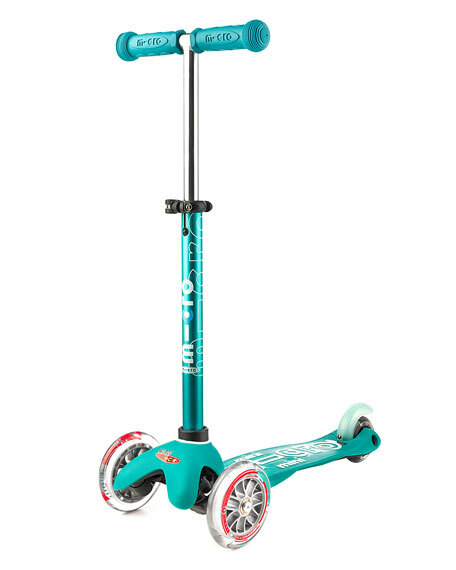 Adjustable T-bar gives child room to grow (17"-25"T). Approx. 25"T x 21"W x 4.5"D.